For businesses or individuals that extensively depend on their web presence for revenue production, web hosting services provide many options to be sure that your website is accessible to their clients round the clock. 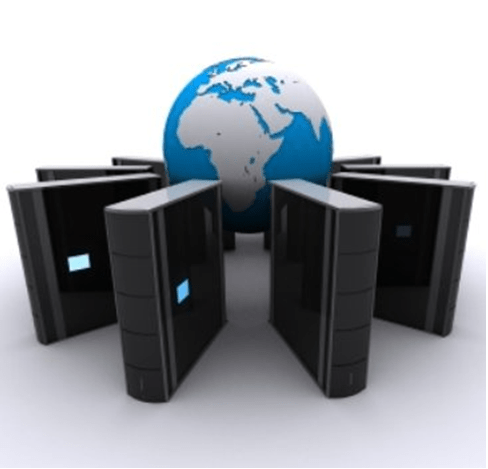 Of all the web hosting solutions, one of the most popular is dedicated server hosting. It offers numerous benefits for companies relying on e-commerce. Dedicated web hosting allows a user to secure the services of their own web server and offer the support of certified technicians to maintain it. All this go a long way with a guarantee that the website experiences no downtime and also addresses all the security issues that may arise. Most often, the hosting provider handle server supervision; however, a client can also opt to perform such functions, which significantly reduces the overall costs. One of the biggest benefits of dedicated web hosting is the exclusiveness of the package, which ascertains the client to exclusively utilize the server’s resources like bandwidth unlike other hosting alternatives. Besides, it also eradicates the website’s vulnerability to external threats that usually obstruct shared servers. Before you get yourself a Dedicated Hosting Service provider, have a look at the following criteria to choose the best one for the business. 1. Important features: A reliable hosting company always provides you with good speed and better security features. Downloading time is an important aspect as latency is not tolerated by the online customers. They feel irritating if the site takes so much time to open. Other than downloading speed, security is the most crucial factor to look for. The hosting company you choose should provide hassle-free service so that you don’t have to worry about data security and the online guests can also enjoy a nice browsing time. 2. Customer support: Though your hosting provider is best in this field, you may experience slight or major problems during the process. You need to sort out these problems as quickly as possible. Make sure the company has a dedicated customer care cell to offer the services. A good hosting company needs to be client-centric and offer immediate response in the event of any problem. 3. Step-by-step guidance: To ensure a smooth running of a dedicated web server, the hardware should be set in the finest working condition. Your hosting provider must be capable to help you in every possible way. Choose a source that is always ready to support its clients and not existed for money making only. 4. Other Essentials: A dedicated web hosting provider always helps the clients to make use of system functionalities to the fullest. In addition to that, it provides its clients with the requisite tools to avert and threaten the dangerous motives of the spyware. The benefits given above are just the tip of the iceberg with dedicated servers. There are many more reasons why it become so immensely popular and continue to grow all the time. It promotes your products and services to the worldwide customers, which brings in thousands of potential customers and increase the sales of several folds. Though it is not the cheapest options, but you really need to look beyond the cost to realize the true benefits. Author Bio:-Peter, a famous web hosting service provider who helped many businesses to make the right decision about web hosting solutions. Apart from his profession, he loves to share his views and suggestions for the people through his articles. His recent articles are about dedicated hosting service, shared hosting etc.